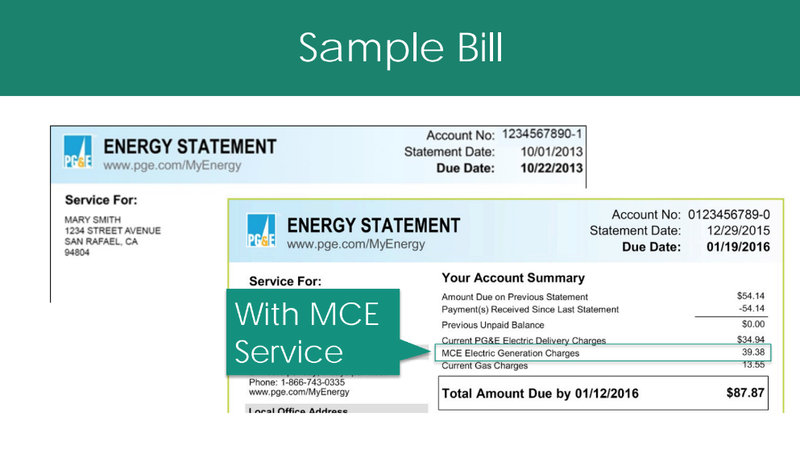 Why is MCE my new electric service provider? Over the last several months, many people have seen advertisements in local papers and on social media about MCE, but some customers may still have questions. One of the most common points of confusion may be based on the underlying geography – we are not in Marin – so, why is a Marin based agency taking over electric service for our utilities out in the far East Contra Costa County? The truth is, they aren’t! It is all in the name. What Are my Options with MCE? 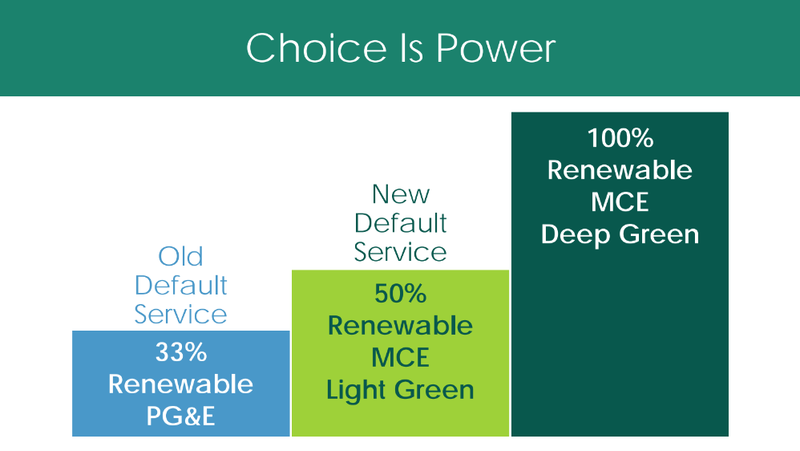 MCE offers three electricity generation options for their customers to choose from. 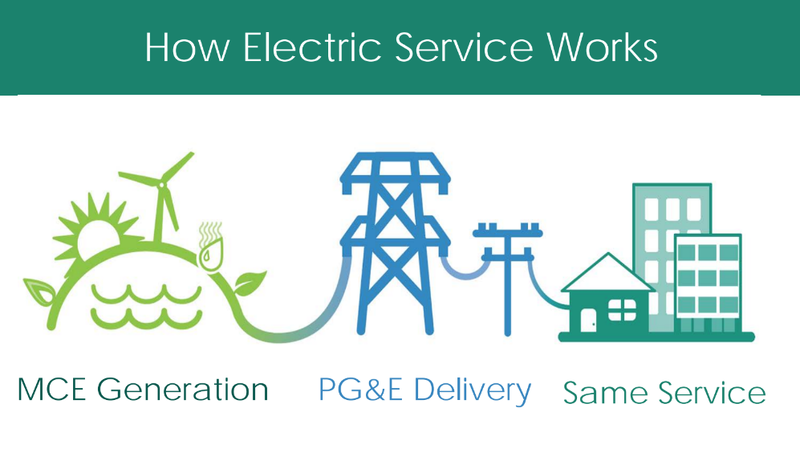 Keep current electric generation with PG&E’s current 33% renewable energy services. 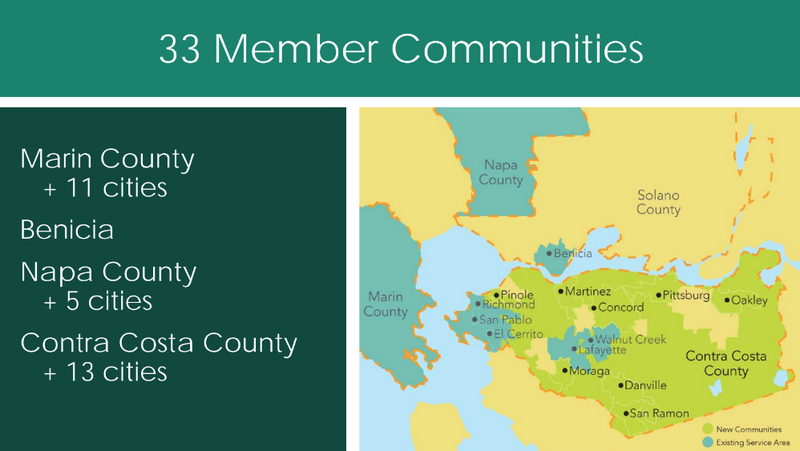 MCE has been serving Bay Area customers since 2010 and is the primary electricity provider in Danville, Concord, Martinez, Moraga, Oakley, Pinole, Pittsburg, San Ramon, El Cerrito, Lafayette, San Pablo, Richmond, Walnut Creek and unincorporated areas of Contra Costa County, as well as Napa County, Marin County, and Benicia. It is already here! For Contra Costa County, the MCE initiative kicked off on April 1 of this year. However, MCE has nearly a decade long history serving local communities. MCE is a big deal for a lot of reasons. First, MCE Light Green service costs 2-5% less than PG&E and contains more renewable energy, and that is only one of multiple options. Additionally, MCE has REDUCED rates the last two years – while PG&E has increased rates. Third, you can choose WHO provides your power and how much electricity comes from renewable sources. This alone is important because utilities are not an area where consumers typically have a voice. We must follow the whole “you get what you get” mentality and, well – get what we get. For those more environmentally driven, MCE allows for services to come from renewable and carbon-free sources, such as solar, wind and bioenergy, geothermal and small hydroelectric. MCE member communities, NOT private shareholders make decision about MCE energy. 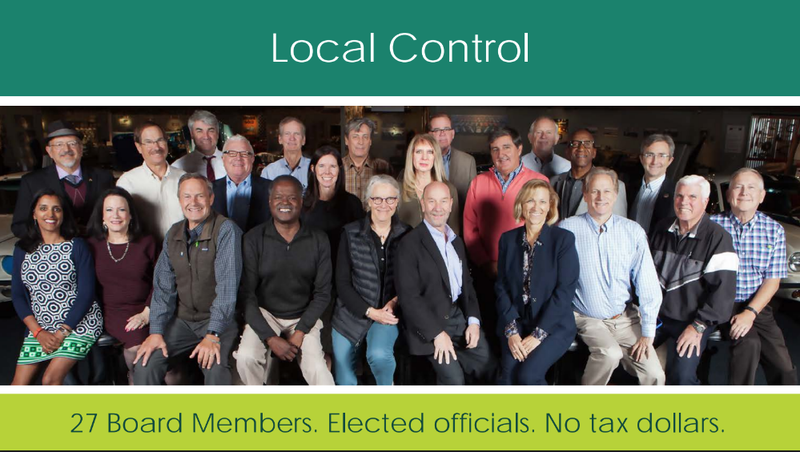 It is the member communities that determine their own energy sources through a Board of Directors, composed of elected officials. Furthermore, MCE does NOT use tax dollars. 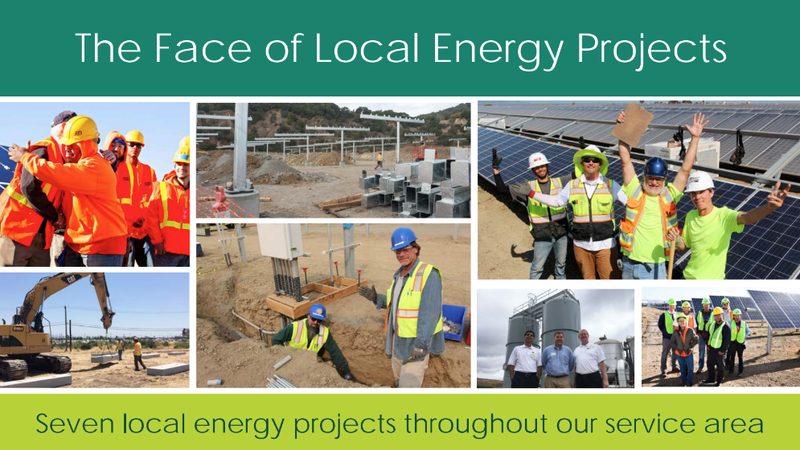 MCE reinvests in the member communities being services by providing low and stable rates, fostering the build out of local, renewable projects and supporting green collar work. What if I have Solar or Want to Go Solar? MCE has a pretty generous Net Energy Metering Program. If you are a solar customer, thats what you are automatically enrolled in. You go through the regular process with PG&E to get your panels interconnected along with other required steps to get your solar panels to start producing energy for you, you will still get your bill from PG&E. MCE will pay retail + $.01 for kWh for any excess generation you may have. We also offer customers the opportunity to cash out, if you have more than $100 for any excess credit, you will be eligible to cash out in a form of a check. Interested in Solar? Contact Del Sol Energy for a Free Quote! Primary information for this article was taken from the official website for MCE and you can reach out to MCE directly at info@mcecleanenergy.org, by phone at 1-888-632-3674, or check out their Contra Costa specific webpage at www.mcecleanenergy.org/contracosta.